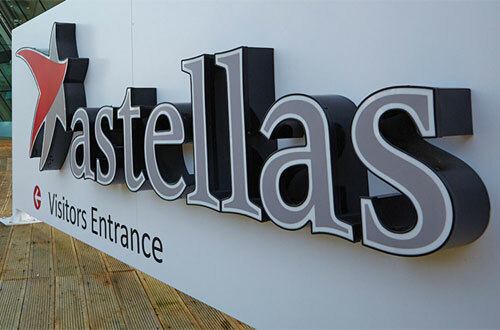 Astellas has started a fourth phase III trial of acute myeloid leukaemia (AML) drug gilteritinib, a FLT3 inhibitor racing to join Novartis' recently-approved Rydapt on the market. The latest trial of gilteritinib (ASP2215) - called MORPHO - is evaluating the drug as a maintenance treatment for FLT3-positive AML patients who have undergone a haematopoietic stem cell transplant (HSCT). Astellas already has trials of the drug ongoing in newly-diagnosed FLT3-positive AML, as a maintenance therapy for patients in first remission after chemotherapy, and a comparison with salvage chemotherapy in relapsed patients. AML is the most common form of acute leukaemia in adults and has a low survival rate, with just one in four patients still alive five years after diagnosis. FLT3 mutations are seen in around a third of all patients and are associated with a much poorer prognosis. "We know that FLT3+ AML patients face potentially worse outcomes than those with other mutations, and while some patients may experience remission following a stem cell transplant, many unfortunately relapse," said MORPH lead investigator Mark Levis of Johns Hopkins University in the US. "Given this reality, it is exciting to study gilteritinib in patients following a stem cell transplant." The Japanese drugmaker is not making any comments on possible filing dates just yet, but with the phase III programme kicking off in 2015 some analysts have suggested it could get approval as early as next year, although the main ADMIRAL trial in relapsed AML isn't due to complete until 2020. If approved, gilteritinib would compete with Rydapt (midostaurin), a first-in-class FLT3 inhibitor that was approved by the FDA in the spring and became the first new drug for AML in more than 25 years. Two other FLT3 inhibitors - Daiichi Sankyo's quizartinib and Arog Pharma's crenolanib - are also in late-stage testing. Astellas has suggested gilteritinib should be viewed as a second-generation FLT3 inhibitor as it has greater potency than midostaurin and sidesteps common resistance mechanism seen with other FLT3 drugs by also targeting AXL. Last month, the drug picked up an orphan drug designation from the FDA. Gilteritinib is one of a clutch of new drugs Astellas is banking on to inject renewed growth into its revenues as prostate cancer blockbuster Xtandi (enzalutamide) starts to slow down, and has become even more important since the company announced a delay to its oesophageal cancer drug IMAB362 (claudiximab), a key asset in its €1.28bn acquisition of Ganymed last October. Oncology is a key priority for Astellas, and along with the Ganymed buy, it signed a wide-ranging immuno-oncology deal with Potenza Therapeutics last year, and followed it up with a $300m licensing deal with Immunomic Therapeutics. It also has a 10-year-plus collaboration with Seattle Genetics covering microtubule-disrupting antibody-drug conjugates.